You see, nothing has changed. Everything the companies are struggling with has been there all along, just hidden beneath the surface. To get this tale going, let’s start with a metaphor. In Lean literature, there is a common metaphor about inventory. Production is a ship. It sails across the ocean. Inventory is water, and problems are rocks in the water. The more inventory there is, the deeper down the problems are hidden. As inventory is reduced, more and more problems surface. The same applies to this tale. When times were good and money and sales plentiful, problems were hidden deep underneath bulging purses. Now the environment has changed, and problems have surfaced. The competition is getting harder and the customers are more demanding. It is the world that has changed, not the company. But in order to survive, the company needs to change as well. It is not an easy task to become an agile company. In order to be able to respond to the rapid changes in today’s environment, the management of a company needs to cultivate a corporate culture that enables the company to rapidly adjust to its environment. Culture of improvement, one where feedback is appreciated and quickly turned into action. In a company that lacks this, it is common to hear something along these lines: “I’m too tired to complain about (some issue) anymore, I have done so for years and years and nothing changes.” This is not something brought about by the depression, it has always been like that. People who complain are quickly considered incompetent and ignored. Yet, this attitude ensures that the rocks beneath the surface remain there, lurking, waiting to be exposed by any changes in the environment. Culture of systematic problem-solving, one where the root causes of issues are dug up and corrected. In many companies, the culture is that if you can fix it with an angle grinder or replace some parts and it works again, everything is super. Going for the root causes is hard work, so people often resort to quick fixes that end up costing a lot more in the long run. Culture of transparency, one where people are involved in decision-making and information is readily available. Secrecy, while needed in some issues for legal reasons (think mergers and acquisitions), prevents employees from making decisions that are good for the whole company. Culture of progress, one where people within the company can grow, take on new roles, and progress on their careers. Instead, the status quo is maintained and people from the outside are often considered superior. Compare this to Toyota that carefully grooms its employees to positions of power, transfers them from one position to another to make them more multi-skilled, and recruits managers from outside extremely reluctantly – and if forced to do so, then to a lower level position than what they held in another company. Culture of togetherness, one where units and offices work in harmony. Too often, various units or offices are estranged from one another. In his presentation at the Manufacturing Performance Days in 2013 (http://www.mpdays.com/media/claus_jessen.pdf), Dr. Claus Jessen from Festo described this as the organization being in a state of kingdoms, where multiple cultures persist within a single organization, preventing it from achieving excellence. Again, compare this to Toyota, who built their US subsidiary on employees and managers from the US, but had hundreds of Japanese collaboration managers teaching their new US employees the Toyota Way for several years until they were certain that their culture had been properly ingrained into the minds of everyone at the new subsidiary. Focus. The basic foundation of a strategy is vision. Without a vision, and the focus it brings to a company, success remain elusive, for the company is in a perpetual state of running around aimlessly and in conflicting directions. There are many frameworks with which to achieve focus. One that I have applied myself and also written about in this blog is vision, purpose, manners. It is of paramount importance to recognize that vision is one of the most important building blocks of corporate culture. The things that go on inside the company also reflect on the ways people work with customers and partners. 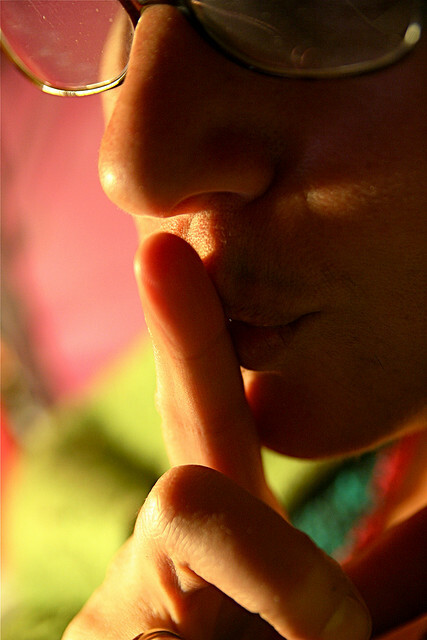 If secrecy is the norm, it is unlikely for people to inform customers of any problems or if a deadline might be missed. This model has worked in the past, when information was not so readily available, but now the grapevine is more effective than ever and secrecy fails more and more often. There is a fine line between deception and self-deception. It is one thing not to admit problems to customers and partners, and quite another to refuse to admit them to yourself. Yet practicing one without practicing the other is a difficult line to walk. Furthermore, establishing intimate, deep partnerships with key customers and partners is becoming vital. This goal cannot be reconciled with the closed nature of the reality in many companies. Without transparency, there can be no deep partnerships, and without transparency on the inside, there can be no transparency on the outside. A company can easily be transparent both inside and outside. It is likewise easy to be closed both inside and outside. Trying to mix the two is not quite as easy. Various industries have entered and are entering the world of transparency at different times. For some industries, the classic model of secrecy and slow improvement may still be valid for a period of time. Yet, it seems inevitable that the paradigm shift will affect all industries. As work on corporate culture can be tedious and time-consuming, it is a good idea to start as soon as possible, regardless of whether you already feel the pressure.